Enterprise Challenge 2018 has begun! 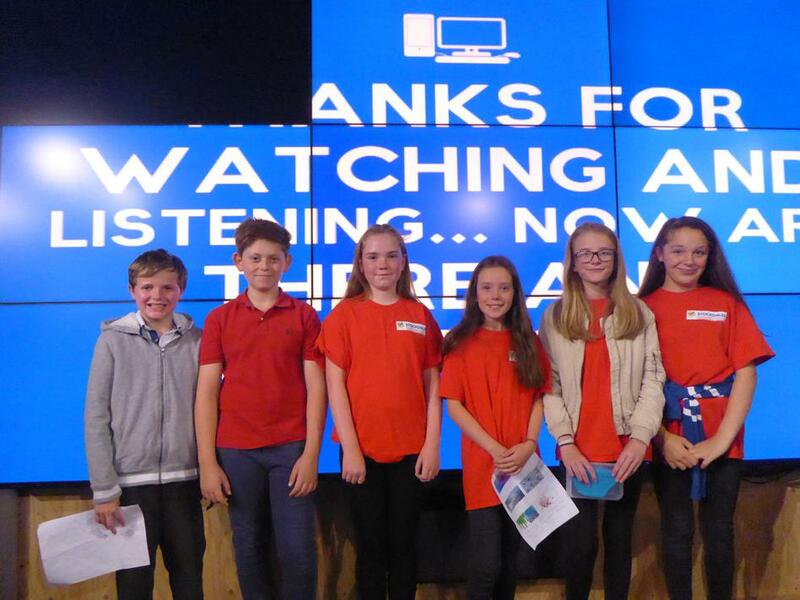 In the midst of sports events and Oliver performances, Y6 are also fully immersed in their Enterprise Challenge. 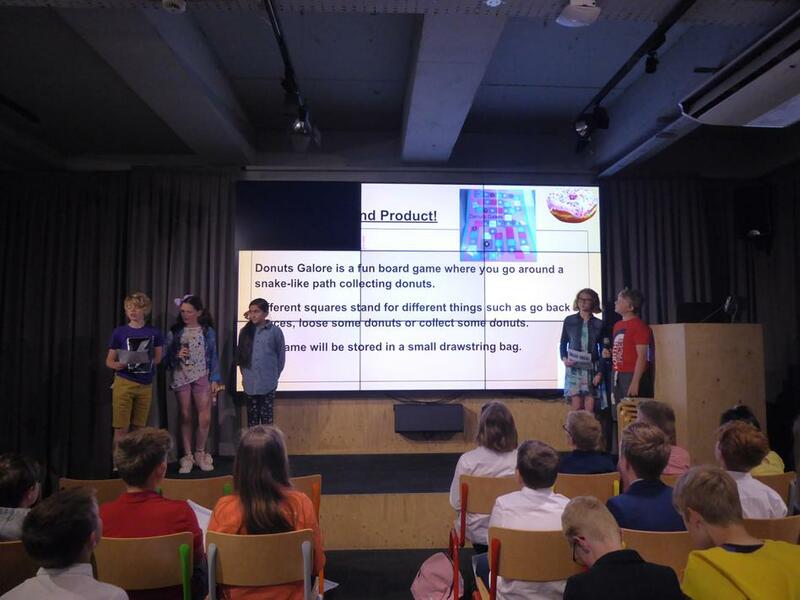 The children are split into 10 teams and asked to innovate a business in just 4 ½ weeks from start to finish. 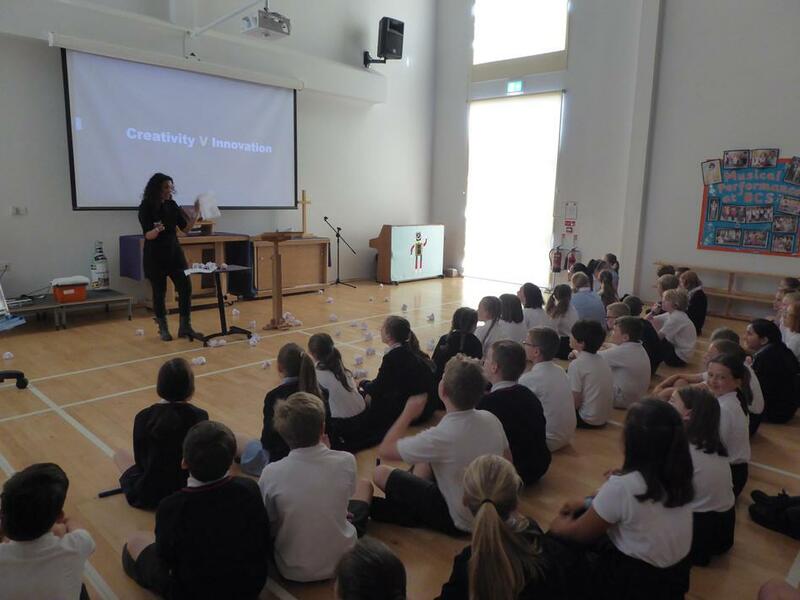 Leila Smurthwaite led a fantastic workshop on innovation at the start of the half term and each team has been developing their ideas, assisted by Y6 staff and parents who have come in to give talks and advice (thanks to Mr Burtinshaw, Mr Edwards and Mr Keeling). 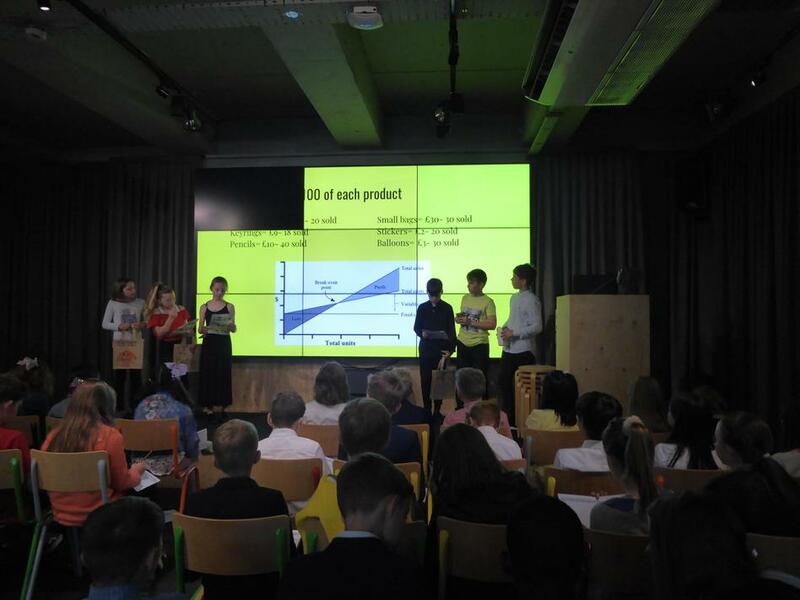 Y6 are now half way through the project and on Friday they visited Manchester to pitch their business plans to a panel of business experts, to be questioned on their usp, financials, marketing strategies and project management. Thank you to our ‘Business Angels’: Mr McDowell, Mrs Whiteley, Mr Thorniley, Mr Beazley and Mr Summers for their time and valuable input. Y6 are currently in the process of buying materials, looking for sponsors, contacting their chosen charities and making their products. If anyone has unwanted items they wish to donate (Plain or light coloured plain T-shirts, old shoe laces, unwanted odd socks, teddies who need a new home, scraps of ribbon, any unwanted fabric paints, T-shirts with logos or football shirts, coloured tissue paper, plastic drinks bottles, plastic containers (eg Chinese containers), old cardboard wrapping paper tubes, corks, patterned fabric scraps), then we have a box in the front entrance. The selling day in school will be Thursday 12th July - in school time for all classes and Y6 parents, but after school at 3pm for all other adults. 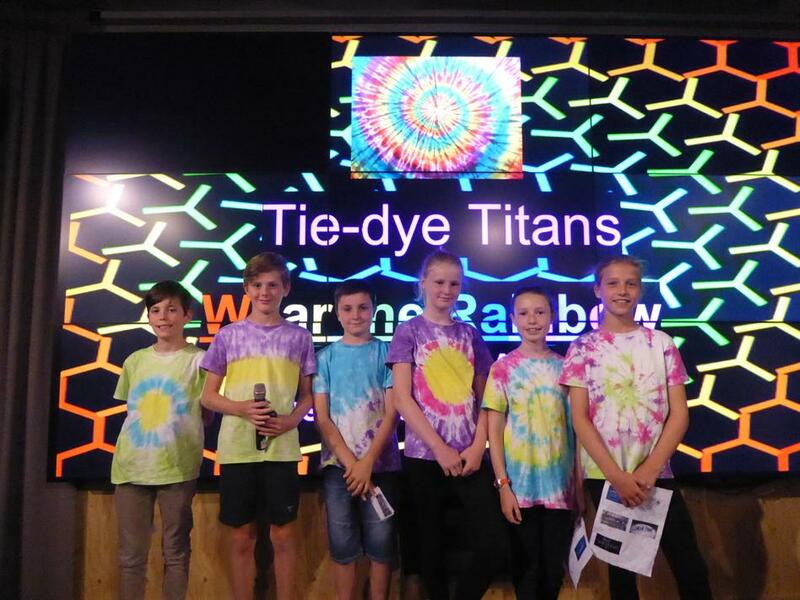 During this day Year 6 will be selling to pupils in school, with each year group allocated a time to visit the 10 team stalls. We will also issue 2 'Golden tickets' per Y6 pupil to allow entry during the day. Without these 'Golden tickets' entry for adults will be restricted to after school - 3pm to 3:30pm. Entry with a golden ticket will be between the times indicated on the ticket and through the 'School's Out' side gate. We will also give the adults who have helped us during the process a special Golden Ticket as a thank you for their time, advice and support. Please note that due to selling we would like Y6 to remain in school until 3:40pm to allow for selling to parents and then clearing up afterwards. 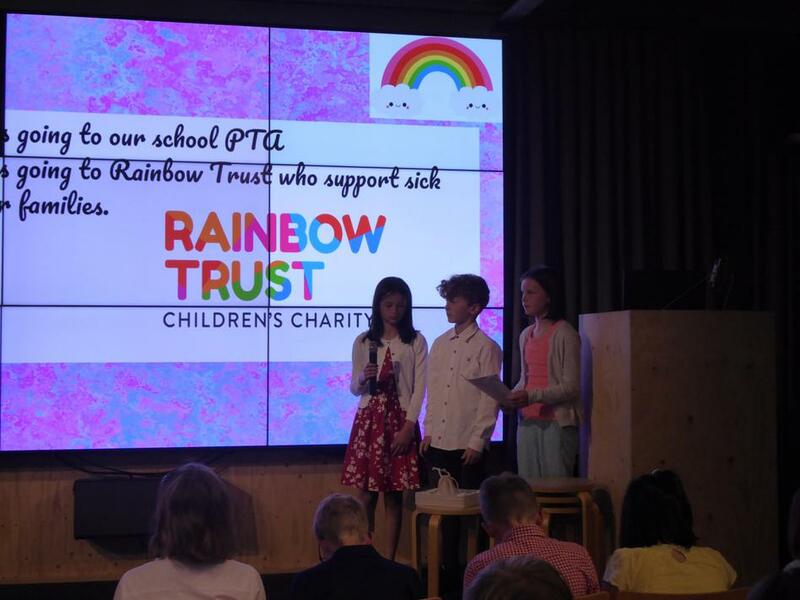 Each team will be responsible for tidying their own stall and products. On Friday all monies and cash books will need to be submitted for the final count. In the meantime, if any teams wish to bank money that they do not need, they can pay this into the school office for security (once banked it will no longer be available to them). 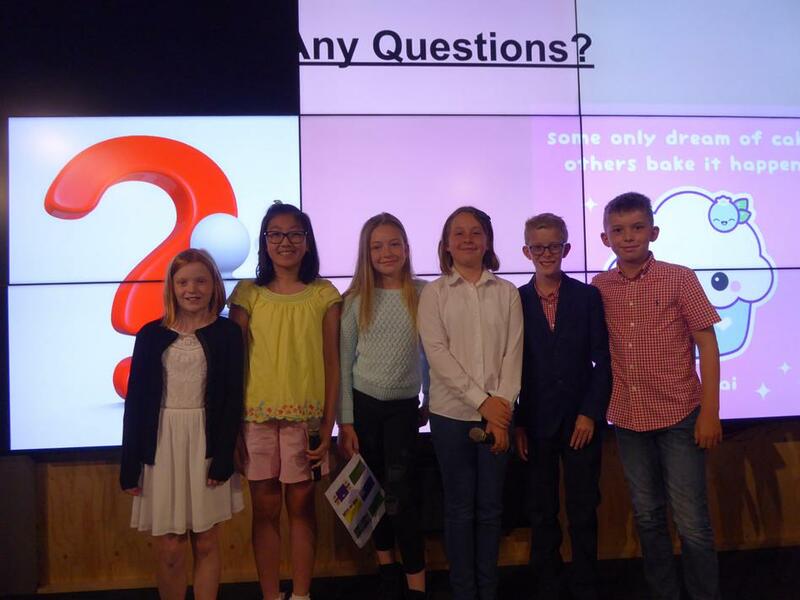 Uploaded by Bowdon Church School Trafford on 2017-07-10. Where has the week gone? Team work, research, presentations and pitches have filled our time (along with Sports day and some of us visiting our new secondary schools) . Our thanks go to Mr Edwards for coming in to help prepare the pitches. Miss Willars and Mrs Moss are feeling slightly relieved that all the teams managed to pull it all together at the end to give their presentations. 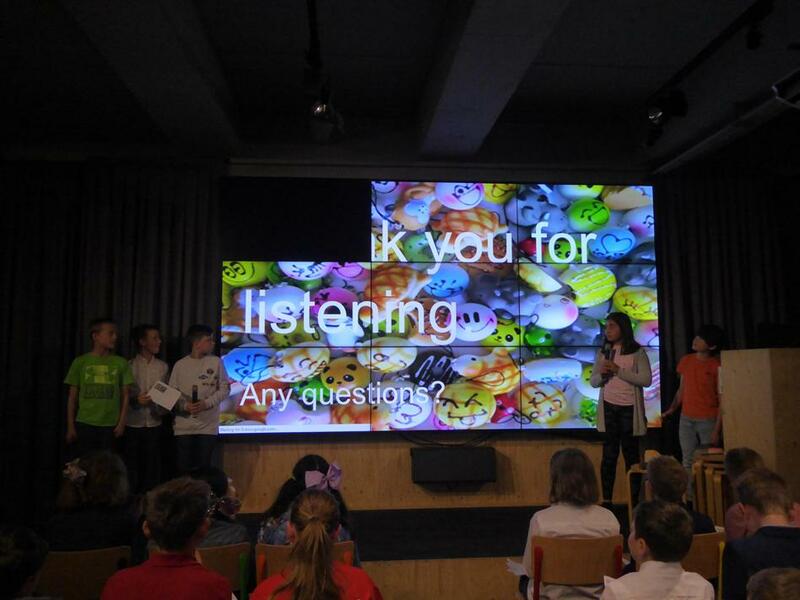 Now all the teams have been allocated their money, which is to be collected by an adult for each team from the school office, it's time to start making, marketing and selling. The teams are responsible for keeping receipts and their accounts to see how a business has to account for every penny! Negotiation skills and teamwork will play a vital part over the next few weeks - good luck to everyone involved! 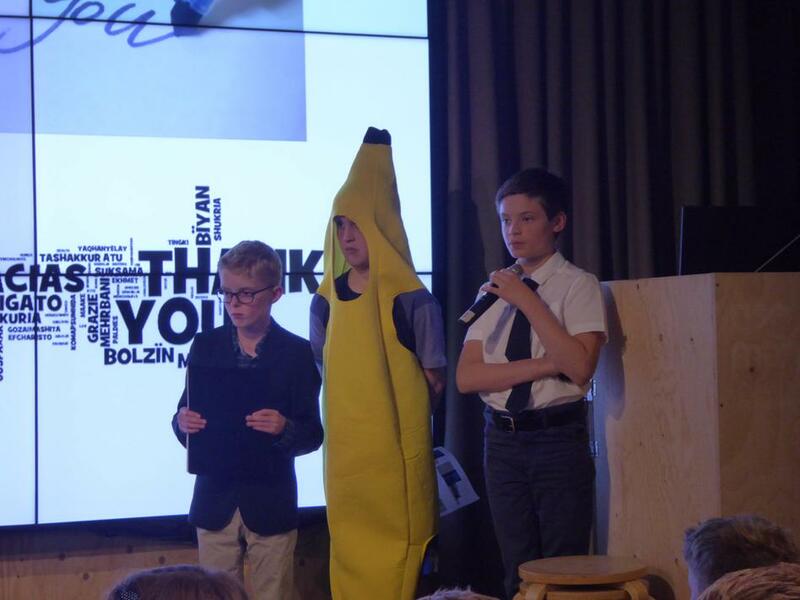 Following from our preparation week, which included teamwork and an introduction to the world of business before the holidays, we have had a series of talks and workshops throughout the week. It's been very hectic , covering innovation, marketing, finance, project management & presentation skills. All the teams have had some fantastic ideas and are working together to make their ideas become a reality. 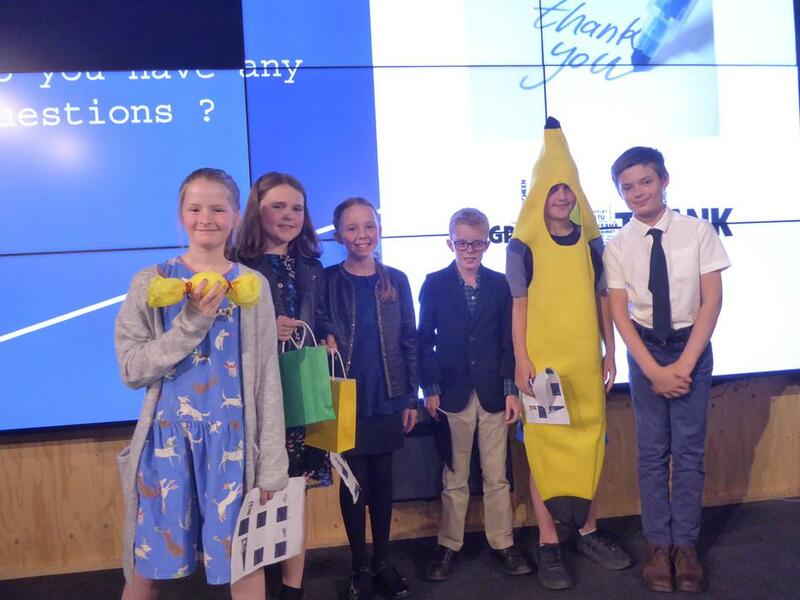 A survey from Team 9 - Business Brainiacs Questions about a "Boredom Buster Book"
Laila Smurthwaite's fantastic 3 hour introduction to Innovation on Monday was inspirational; the creative energy was crackling in the room as they debated solutions and possibilities. 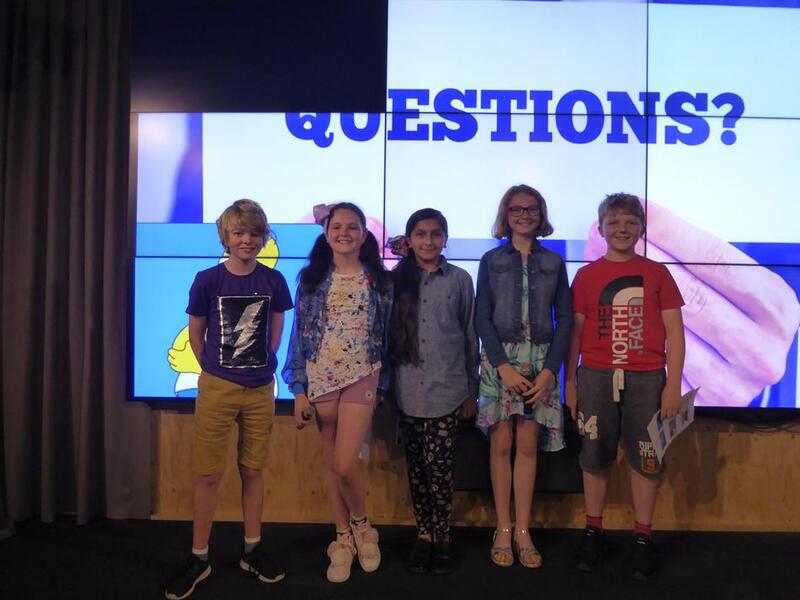 On Tuesday morning the teams were challenged with creating a team name, together with 3 different business ideas - their homework being to discuss these ideas at home, with as many people as possible to gauge reactions! Once the children have had some feedback from family and friends tonight, they will then begin to decide which idea to develop further in school. Some teams will have one clear idea straight away, while others may take a couple of days to decide. 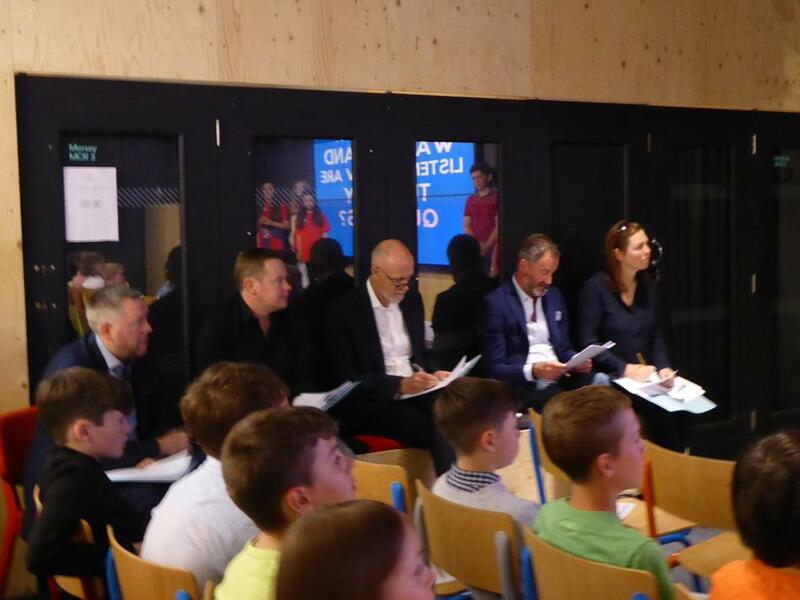 By Friday we hope all teams will be settled and begin to plan in earnest for their Pitch to the Business Angels next week on Thursday 23rd June. On Thursday 23rd June we will walking Y6 up to the Cinnamon Club at 9am and children will need a packed lunch and a coat, together with any team samples and props. 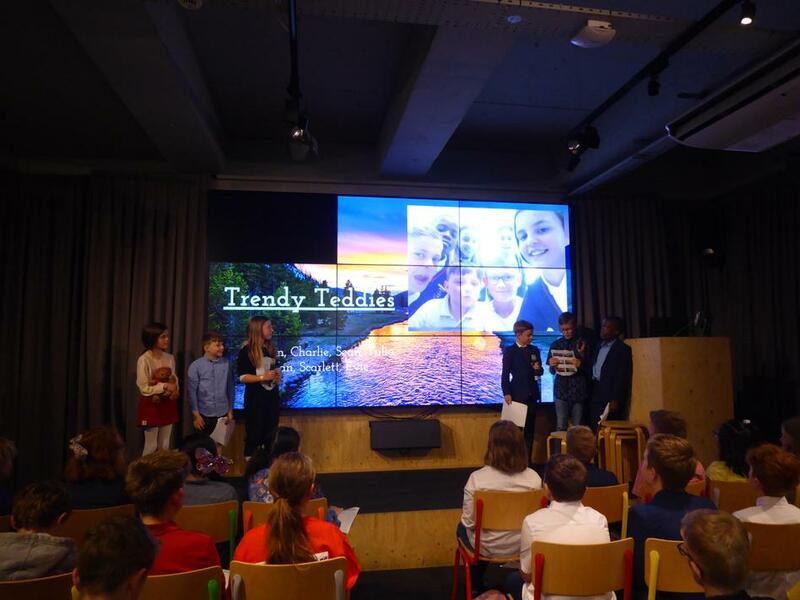 Children can decide as a team, to come dressed for their business pitch. Help from parents is required for helping to walk up at 9am and to walk back to school around 2:30-2:45pm. Thank you to all of you who are involved in delivering talks, being Business Angels and Mrs Platts for helping us with prizes. 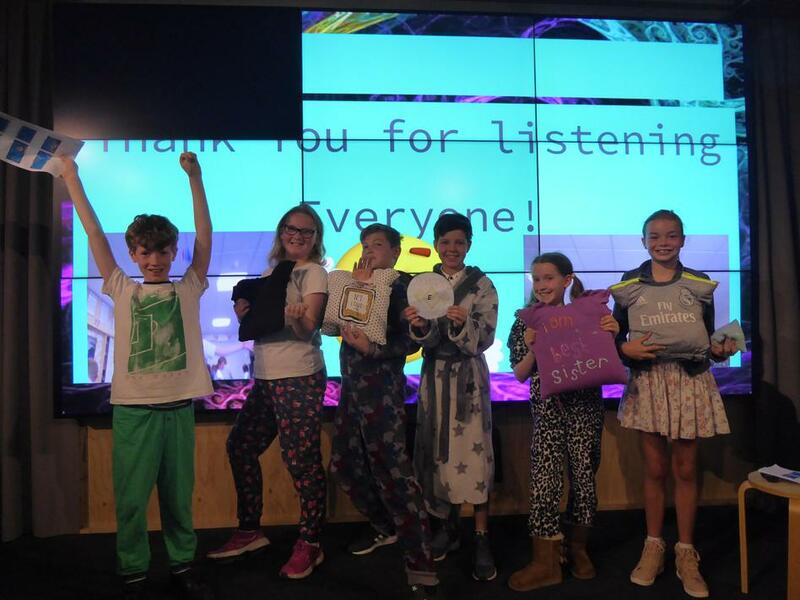 It is only with everyone's help that we are able to make Enterprise Challenge successful and a valuable learning experience for the children. If you can help with any of the following please contact the Y6 teachers: smoss.bcs@traffordlearning.org or vwillars.bcs@traffordlearning.org. Thank you to those parents, who have already been in touch - you should have had an email to confirm your involvement. 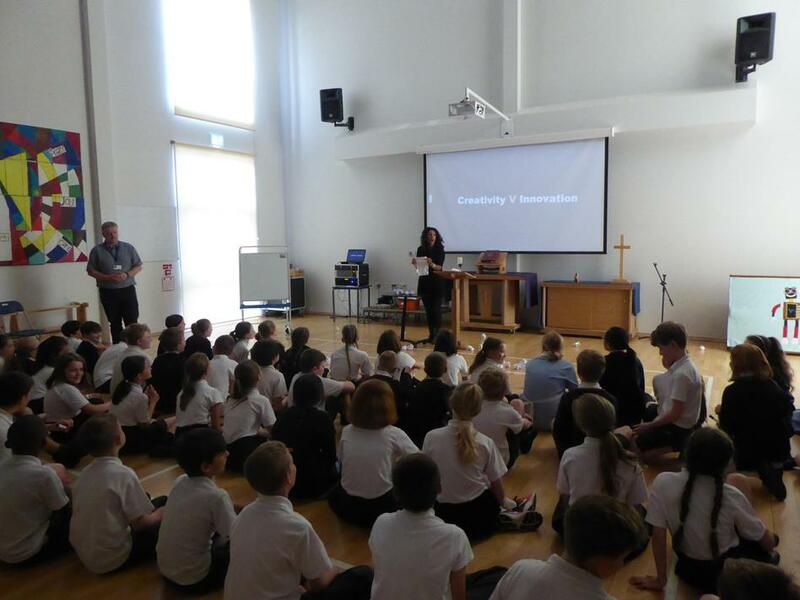 Be an inspirational speaker - talk to Y6 about your business or your role in being part of a successful team. Provide practical advice to teams about their ideas and products as a 'critical friend'. Be a 'Business Angel' and listen to teams pitch their business ideas , give feedback and advice. Provide help with: market research, printing, transport, donating products, providing reward experiences, supervising visits. We have not yet had any offers of reward experiences, or to help to coordinate these. The teachers are focusing on planning and delivering the educational content, coordinating speakers, and supporting the children; so if you have any contacts or ideas for Rewards Day on Friday 22nd July please get in touch. 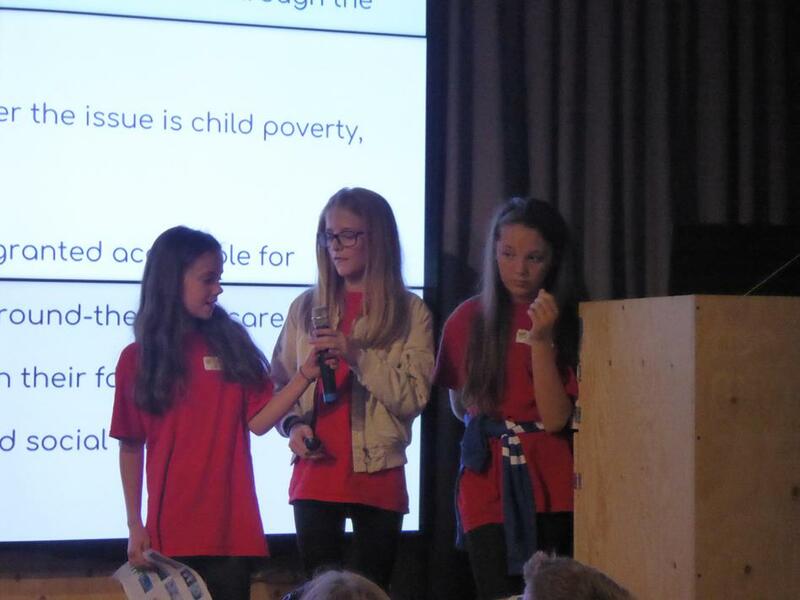 BCS was short-listed for the TES Enterprise and Community Award in 2014 for Enterprise Challenge. 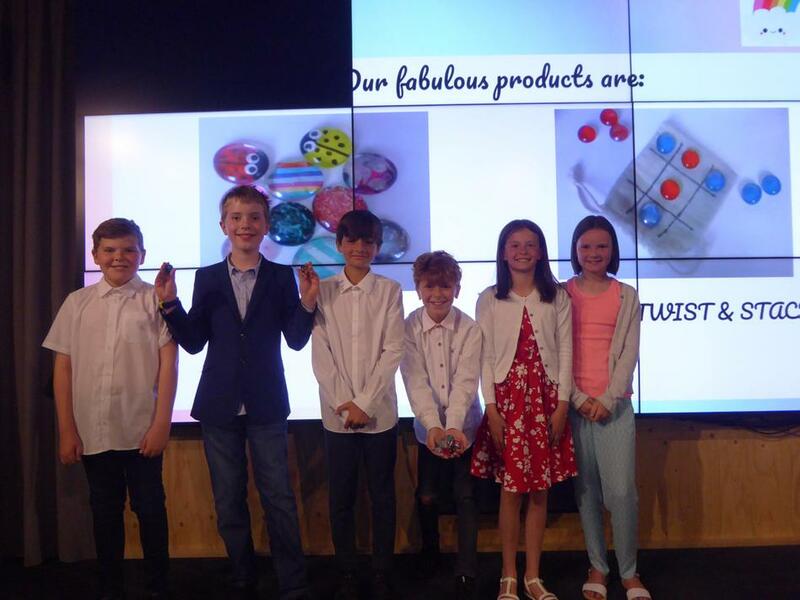 Enterprise Challenge began in Bowdon Church School in 2012 and is one of the highlights of the children’s time here in BCS. 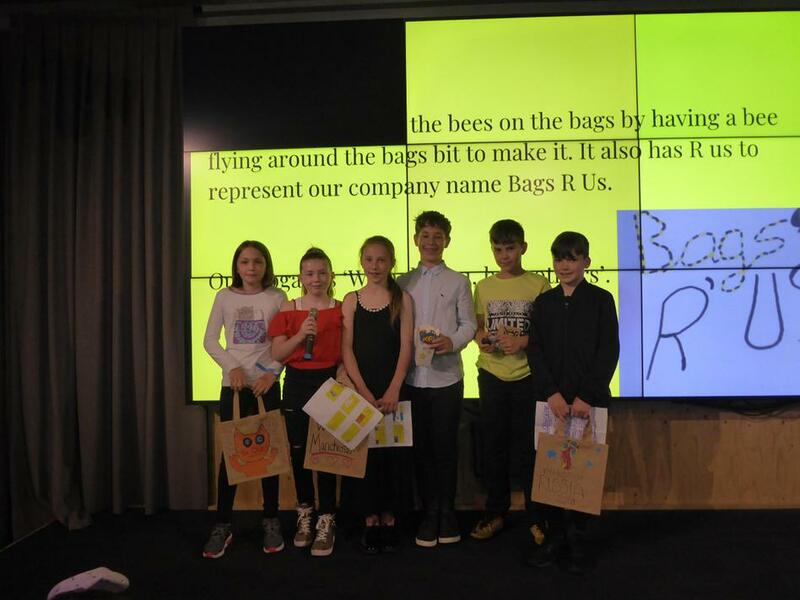 Over a 6 week period, the children in Year 6 take part in a series of workshops on core business and life skills; pitch ideas to 'Business Angels' for real money; advertise, produce and fulfil orders; organise and run a business fair for pupils, family, friends and the local community. 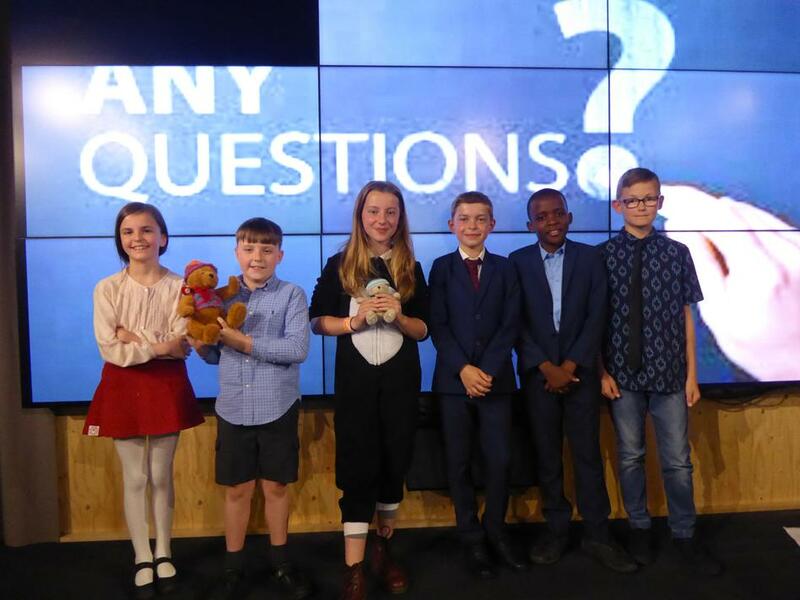 Not only does this bring their learning in primary school to life, giving every aspect of the curriculum real context, but it also instils important skills such as confidence, resilience, creativity and teamwork, whilst preparing them for the transition to secondary school.